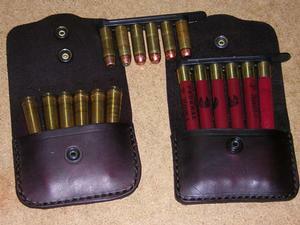 Designed with the Taurus Judge in mind, this pouch will also hold rifle ammo from 308 to magnum length cartridges. Also fits 243 to 375 H&H, 410 shot shells. 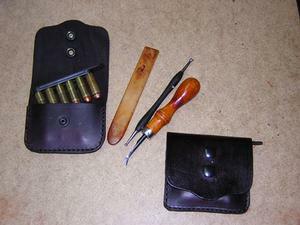 Pistol cartridges will work with quick strips. 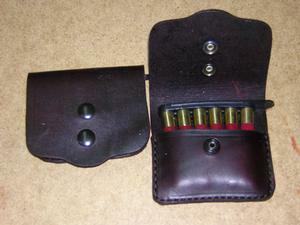 460 & 500 S&W cartridges also work best in this pouch. 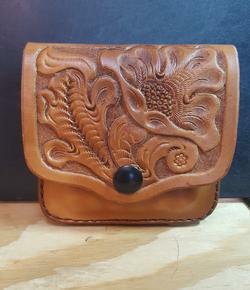 Made from heavy duty, well oiled steer hide shoulders; this pouch will last generations. 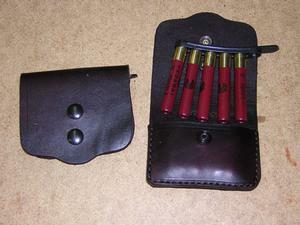 The multiple Mil-spec heavy duty snaps allow for the secure carry of various length cartridges with this one pouch. The410 puch fits 1.5-1.75” belts and our Chesty Puller Harness.